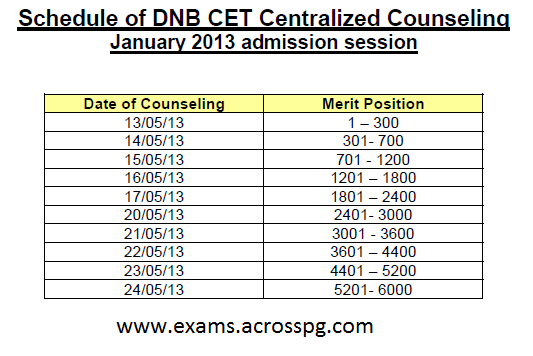 DNB CET Nov 2012 Session Centarlized Counselling 1st Round from May 13th - AcrossPG Exams! NOTE: The detailed counseling schedule. See the schedule here. A total of 26547 ranks declared by NBE.